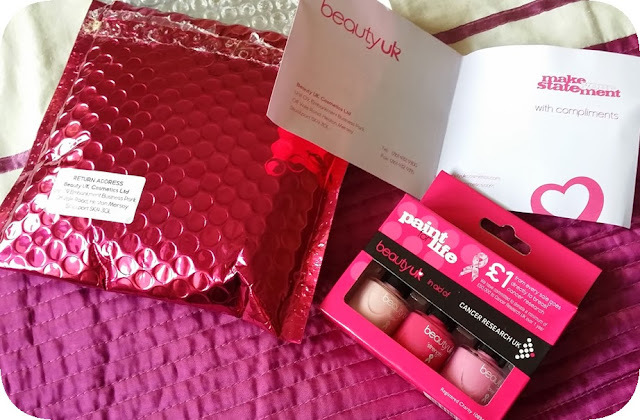 Today’s post is by Tejinder Kaur, the winner of the recent BeautyUK ‘Paint for Life’ trio giveaway on DB Reviews. Here she shares her views on the nail colours along with some lovely swatches of the three colours. Over to Tejinder. Today I am sharing my views on 3 nail paints which I won in a giveaway organised by DB Reviews. I am so happy about this. The nail colour trio was delivered beautifully gift wrapped to me. I was very happy and excited and opened it quickly and applied on my nails immediately. BeautyUK has introduced a unique box set to help raise money for Cancer Research UK. 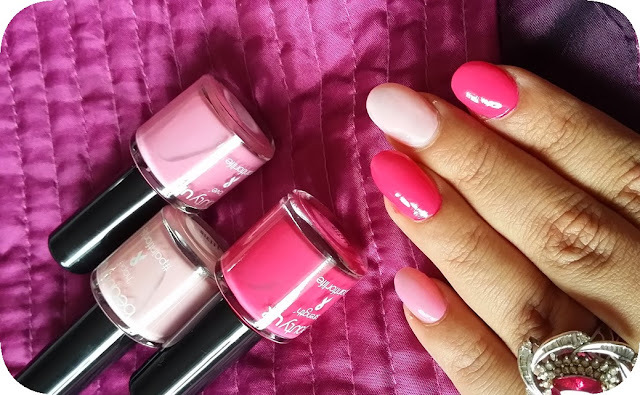 Consisting of three utterly gorgeous shades of pink, they have called it the ‘Paint for life trio’ and have individually named each bottle as ‘Hope’. ‘Strength’ and ‘Love’. 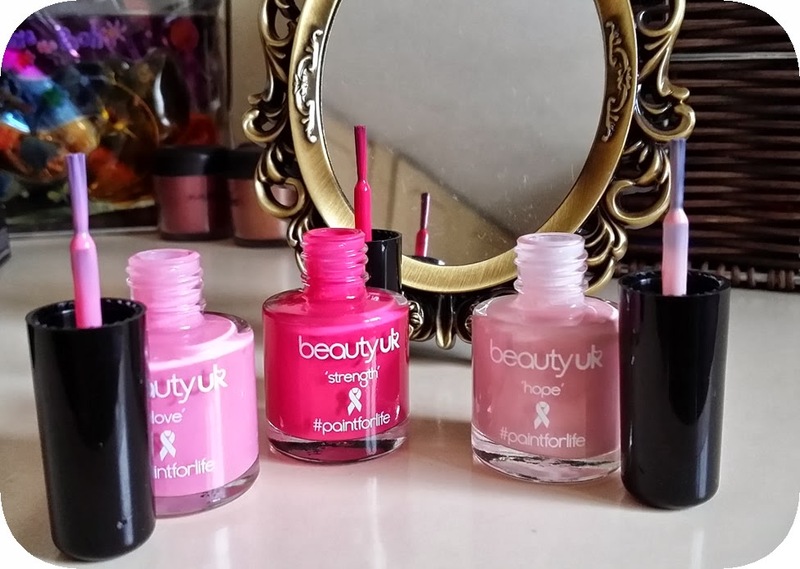 Beauty UK have committed to donating a minimum of £50,000 to Cancer Research UK over 1 year. Each time you purchase these beautiful nail varnish gift sets, £1 of your money goes towards the charity. 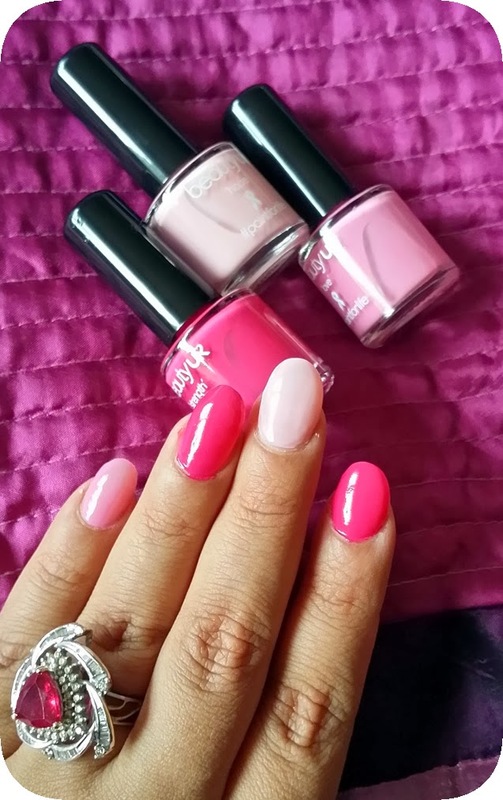 I am really happy with my trio of pink nail varnish as they are of good quality at an amazing price besides supporting a good cause. ‘Hope’ is a pale pink shade, ‘Love’ is a baby pink shade and 'Strength' is a deep or dark pink shade. They all come in a very compact and travel friendly box. Bottles are very small in size, so you can carry easily in your purse while travelling. Brushes are also very small but pick up the right amount of product and 2 coats give a good coverage. It dries quickly and you have choice of three colours, if you get bored wearing a single shade. 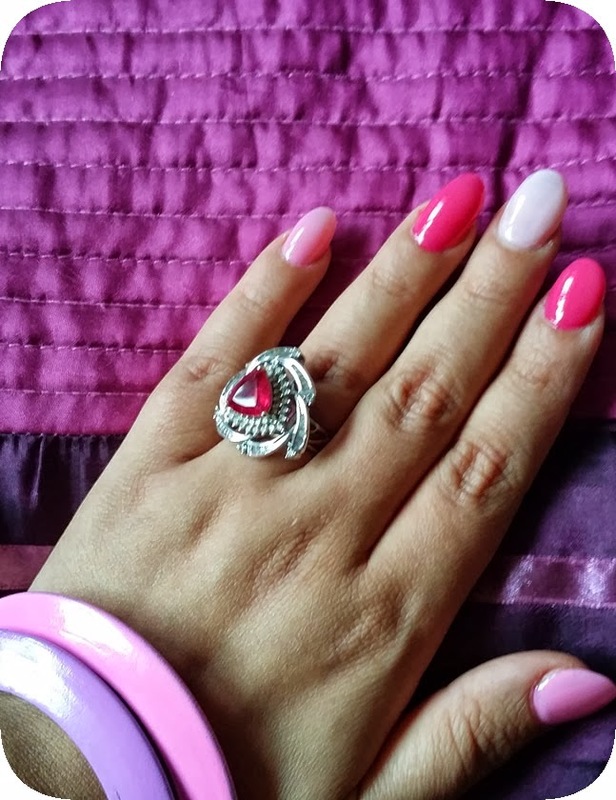 The colours give shine to the nails but settles to a matte finish. To make it more glossy/shiny you can apply a top coat over it. These are available on BeautyUK for £5.99, so paint your nails pink and help raise awareness for breast cancer. It is perfect for younger generation and would suit all skin tones. Bright colours always look good while light colour can be used regularly and at work. Staying power is also good. Packaging: These nail paints come in very cute n compact packing with brand name Beauty UK embossed with white letters on the body. 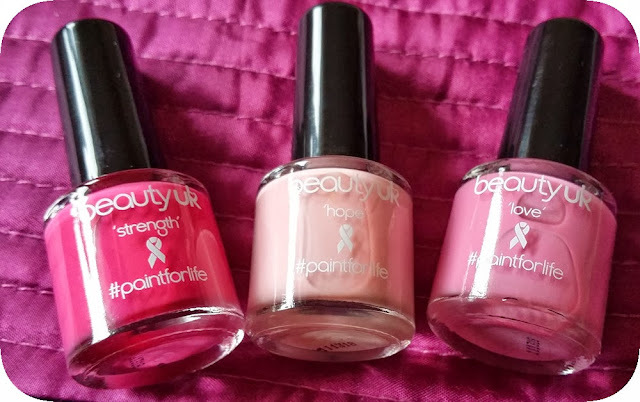 Colour name is not written on the bottle, Beauty UK have called it the ‘Paint for life trio’ and have individually named each bottle with ‘Hope’, ‘Strength’ and ‘Love’. Texture: It has a creamy texture and dries quickly. It gives a matte finish and the formulation is of good consistency and easy to apply. Overall, I am really happy with my trio of pink nail varnish.